The virtual battleground provides the means for fine-tuning robot functions and detecting errors right at the design or pilot stage. A sole virtual battlefield that provides the means for testing robots and drones has been developed for the Russian Army, Kronstadt Group CEO, Armen Isaakyan, told TASS in an interview. "We have developed a new version of the Combat virtual trainer that now includes drones and robots and is more flexible and able to integrate with other developers’ synthetic trainers," he said. The virtual battlefield includes the Combat virtual trainer and a tool for integrating other trainers with the virtual models of any objects. The Kronstadt Group is now working on 3D visualization and a virtual map for the trainer. "Combining mathematical models with the visual display system in a sole virtual 3D space with a realistic environment makes it possible to model and optimize the operation of joint force groups, including manpower and any equipment such as helicopters, tanks, armored personnel carriers, drones, and robots," Isaakyan explained. "This, no doubt, cannot fully replace field testing, but is very important for developing new technologies and products," he stressed. 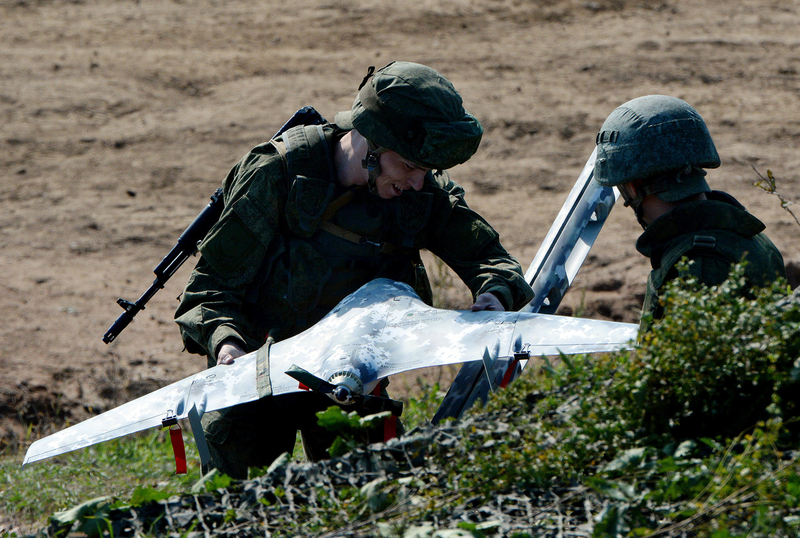 Any vehicles - land, sea and air - can be integrated into the virtual battlefield. It can be effectively used for a joint force group, for instance, a brigade.